I ran out of dishwasher detergent this week. Do you ever buy multiple boxes of something when it’s on sale and then use up the last one before you realize you’re on the last box? Well, I do, and that’s what I did with the dishwasher detergent. Then I remembered that I have all the ingredients required for making all my household soaps. There they sit under my kitchen sink, just waiting to be turned into foam soap and laundry detergent and even dishwasher detergent. I had used homemade detergent in another dishwasher and had not been satisfied with the results. But now my only alternative was to remove all the dishes I had just loaded into the dishwasher and wash them by hand. This called for an emergency DIY. And it worked! And it’s so much less expensive than the detergent I had been buying! Want to try it? Combine and store in an airtight container. Use 1 1/2 to 2 tablespoons for each load. 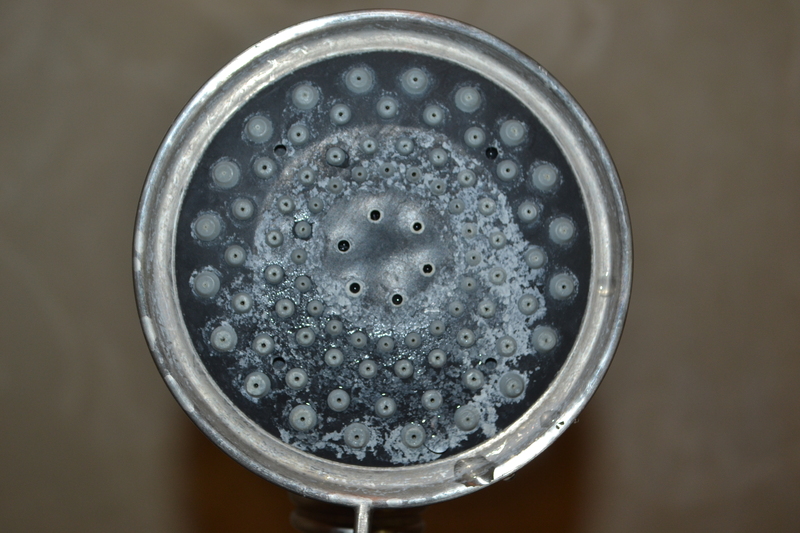 Experiment with your own dishwasher and use less if you notice residue on your dishes. You may also add a little white vinegar to the bottom of the dishwasher. Hard water. If you have hard water, you know it. Over time (and not very much time either), a crusty white build-up appears anywhere water stands even for a short time. 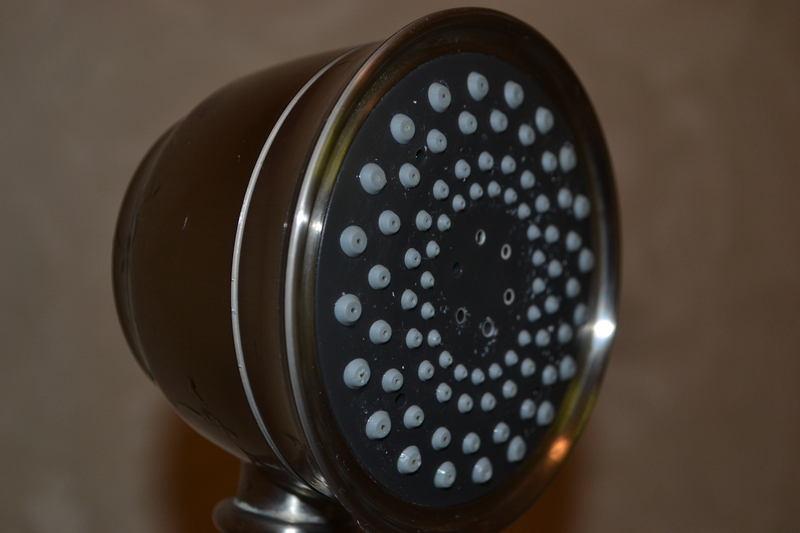 I had read that a shower head could be cleaned easily with some natural cleaning products, so I decided to tackle the job. I put about half a cup of baking soda in a small bowl and poured about 3/4 of cup of vinegar into a quart-sized plastic bag. My shower head is on a hose, so I was able to take it down for the cleaning. 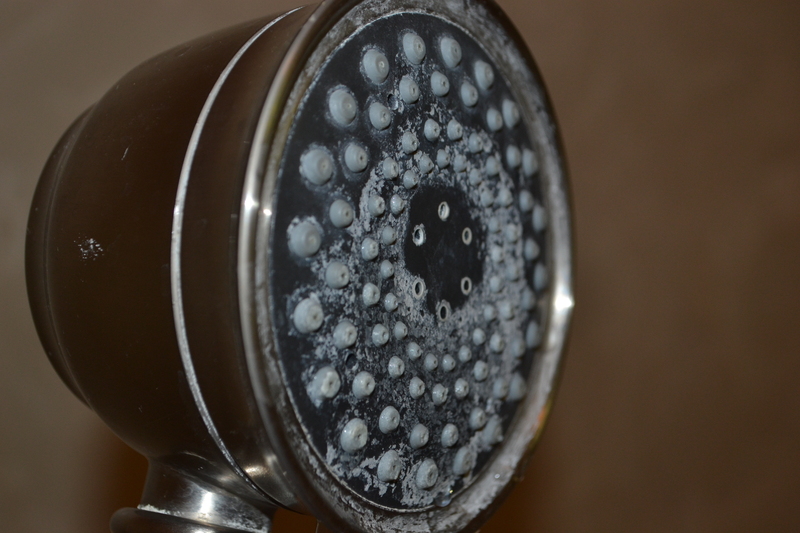 I began by running a little water through it and then pressing the shower head into the bowl of baking soda. Then I placed the shower head in the bag of vinegar and secured the bag with a rubber band. The baking soda and vinegar fizzed up when I first put it in, and that initial reaction loosened up a lot of the build-up. When the fizzing calmed down, I let the shower head rest in the tub, submerged in the bag of vinegar. 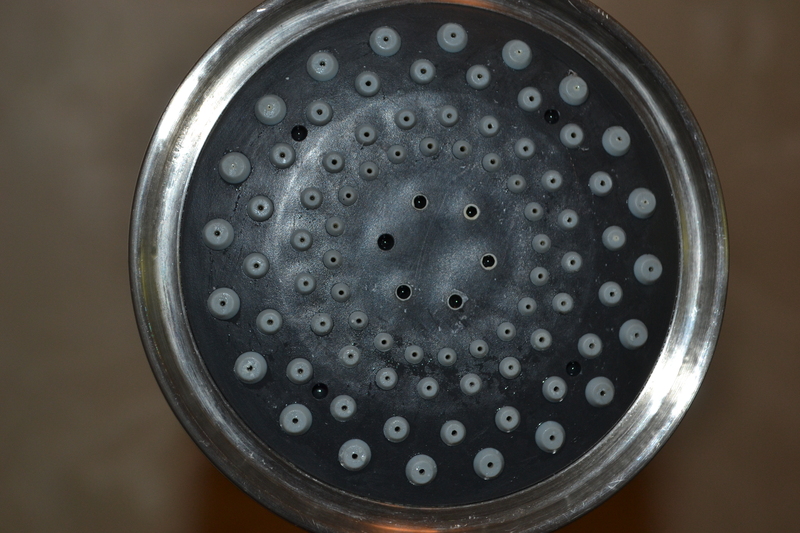 After one hour, I removed the bag, rinsed the shower head and wiped it clean. Here’s the amazing result! Three cheers for baking soda and vinegar!